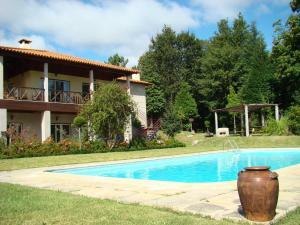 Quinta Lama de Cima price per day from € 50 Offering a salt water pool for adult and children plus a tennis court, Quinta Lama de Cima is located in Fafe. There is a common kitchen, dining area and lounge available. Each apartments includes its own kitchenette where guests can prepare their own meals..
Souto Flat Accommodation price per day from € 80 Souto Flat Accommodation is a self-catering accommodation located in the historical centre of Braga. 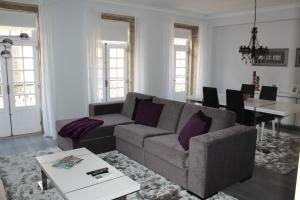 The property offers a modern yet simple decoration plus free WiFi in all areas. It is equipped with a flat-screen TV, air conditioning, a sofa, a dining area and has access to a balcony. Hotel Rural Quinta de Sao Sebastiao price per day from € 115 In the main house, the distribution of space is both functional and welcoming, with spacious rooms and public areas: 11 guest rooms(1 single room, 1 apartment suitable for disabled guest,and 9 double rooms), dining room, sitting room and TV room, games room and library. The estate, with its trellised vines and paths, surround the gardens and green spaces, the swimming pool, playing field and children`s playground, creating a relaxing atmosphere for rest and recreation..
Casa da Figueira price per day from € 60 Located in Póvoa de Lanhoso, this traditional country house offers spacious accommodation just 16 km away from the city of Braga. 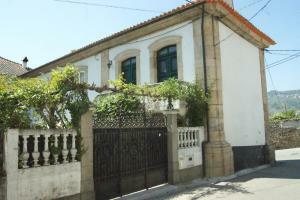 Casa da Figueira features a big garden with a patio and free bikes. 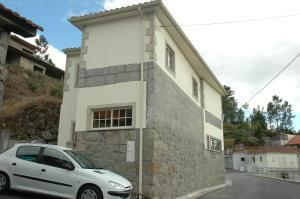 Casa da Figueira consists of the Main House, the Down House and the House of Eira. Hotel Suave Mar price per day from € 62 This resort in Esposende faces the Cávado River and is 200 metres from the Atlantic Ocean. It offers an outdoor swimming pool, tennis courts and a gym. Some rooms have panoramic views of the Atlantic Ocean. For colder days, the Suave Mar offers the Foz restaurant, which serves international dishes in front of a cozy fireplace..
Casa Do Fragao price per day from € 105 Located 30 km from Braga, Casa Do Fragão is a rural style holiday home that offers mountain and garden views and a seasonal swimming pool. The Peneda-Geres National Park is a 19-minute drive away. Guests can prepare their own meals in the fully equipped kitchen that includes refrigerator, toaster, microwave, stove, oven and coffee machine..
Aldeia Turistica de Louredo Located at the foot of Serra da Cabreira Mountain, Aldeia Turistica de Louredo is a holiday village of traditional granite stone-built houses located in Louredo, Vieira do Minho. There is a poolside house which guests can use when they are at the pool. Vila Arnozela Vila Arnozela offers accommodation in Arnozela, 10 km from Fafe. There is a seating area and a kitchen complete with a dishwasher, an oven and a microwave. Casa De Fora price per day from € 31 Located in the village of Mós, 8 Km from the Ermal Dam, Casa de Fora is a rustic centennial house with air conditioning that offers accommodations for 6 persons. The living room is equipped with a TV, sofas and a fireplace. Esposende Vivenda price per day from € 70 Located 200 metres from Cávado River banks, Esposende Vivenda is a holiday home with free WiFi in Esposende. This house includes 3 bedrooms, one en suite, and a living room with a fireplace for the colder winter nights. 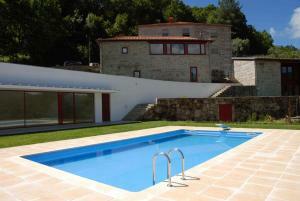 There is a patio where children can play in safety and barbecue facilities are available..
Casa de Dentro - Capitão Mor price per day from € 45 Casa de Dentro is 3 km from the Peneda-Gerês National Park. The rooms and suites at the property all feature a private bathroom, wardrobe, wooden floors, heating and views over the garden and mountain area. A daily breakfast buffet is offered to guests of the Casa de Dentro - Capitão Mor..
Casa de Pichoses price per day from € 165 Located next to Caniçada Dam, in Peneda – Gerês National Park, Casa de Pichoses is a four-bedroom villa with an outdoor swimming pool. 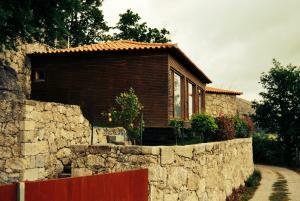 The villa offers 3 double rooms and a twin room with traditional wooden furnishings. The kitchen is equipped with an oven, stove, washing machine, dishwasher and a fridge. Quinta do Rego - Turismo Rural price per day from € 55 The Quinta do Rego is a rural tourism property, located 5 km from Póvoa de Lanhoso. Guests are welcome to take a break in the pool area or in the living room, which features a fireplace, TV and board games. Quinta do Rego offers breakfast service each morning in the dining room. 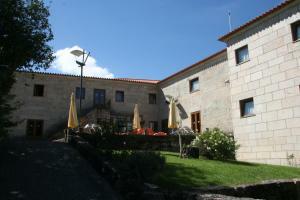 Hotel Rural de Charme Maria da Fonte price per day from € 31 On the base of the structures of a typically Minho farm in Calvos, in Póvoa de Lanhoso, this charming hotel offers air-conditioned rooms with satellite TV. 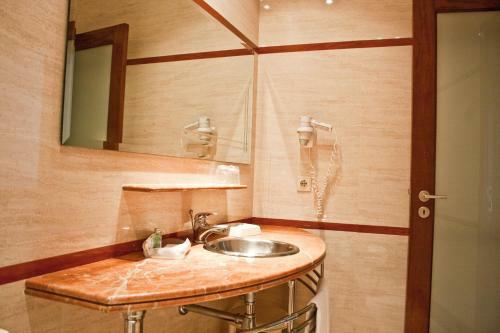 Facilities include a horse riding centre and an outdoor pool. Guests can get a horse-drawn carriage ride at the horse riding centre..
Moderna do Geres Hotel price per day from € 33 This hotel offers guests rooms with balconies overlooking forest landscapes of the Peneda-Gerês National Park. A continental breakfast is served in Moderna’s restaurant. 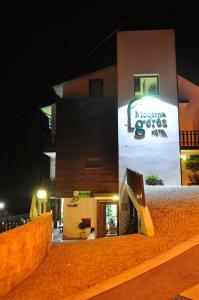 The staff at do Gerês can organise canoeing and horse riding tours throughout the park..